Meet at Delhi Airport/Railway Station and transfer to hotel. Check in to hotel. Relax at hotel. Overnight stay at Delhi. Morning after breakfast, check out from hotel. Transfer to Airport Or railway station and caught your flight or train to Varanasi. At Varanasi meets our repesentative and transfer to hotel in Varanasi. Overnight stay at Varanasi. Morning after breakfast, enjoy full day sightseeeing tour of Varanasi. 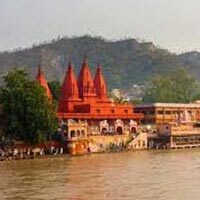 Visit ghats, temples and famous evening Ganga Aarti. Return to hotel. Overnight stay at Varanasi. Morning after breakfast, check out from hotel and transfer to Airport or Railway Station. At arrival in Dehradun or Haridwar Transfer to hotel. Check in to the hotel. Overnight stay at Haridwar. 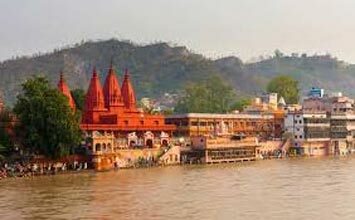 Morning after breakfast, enjoy full day sightseeing of Haridwar including famous temples followed by evening Ganga Aarti at Har Ki Pauri. Return to your hotel. Overnight stay at Haridwar. Morning after breakfast enjoy full day sightseeing tour of Rishikesh. Visit ashrams, temples and local market. Return to Haridwar. Overnight stay at Haridwar. Morning after breakfast, check out from hotel and transfer to Delhi. Dropping at Delhi Airport / Railway Station / Hotel.